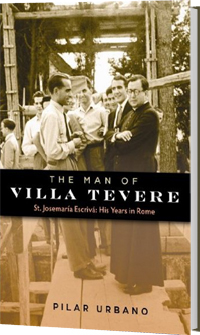 Newly translated from Spanish, The Man of Villa Tevere paints a remarkably vivid portrait of the day-to-day life of St. Josemaria Escriva, “the saint of the ordinary.” Set in the world headquarters of Opus Dei and rich with anecdotes culled from its founder’s contemporaries, this acclaimed biography chronicles the construction of the Roman center through St. Josemaria’s death there in 1975. Like St. Josemaria himself, The Man of Villa Tevere overflows with vibrant energy and gentle wisdom, manifesting the spirit of Opus Dei and inspiring multitudes to lead truly Christian lives. This book is being distributed by Midwest Theological Forum for the St. Josemaria Institute. For wholesale orders, contact Midwest Theological Forum at 630-541-8519.